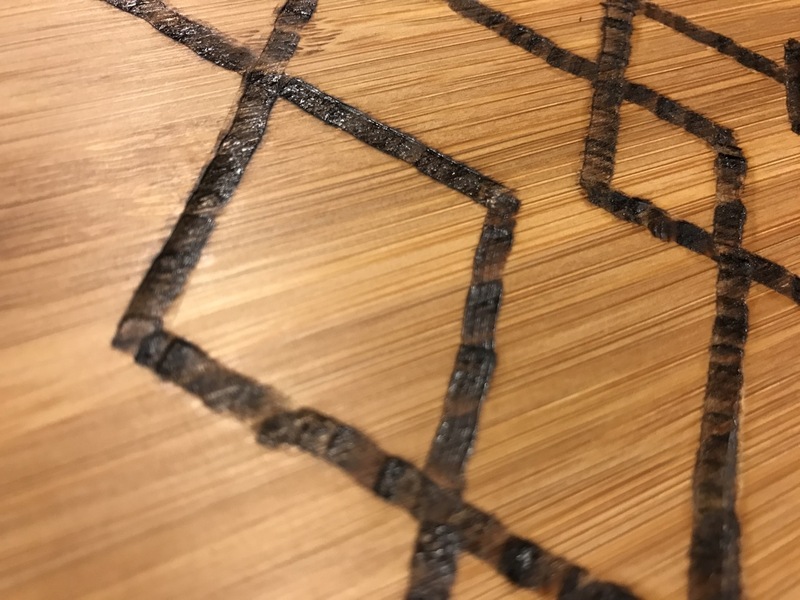 Have you ever found yourself with an old cutting board whose cuts and grooves are too deep for comfort? I have. And I know I’m supposed to stop using it with food, because bacteria. But I hate having to just throw away such a great piece of wood. 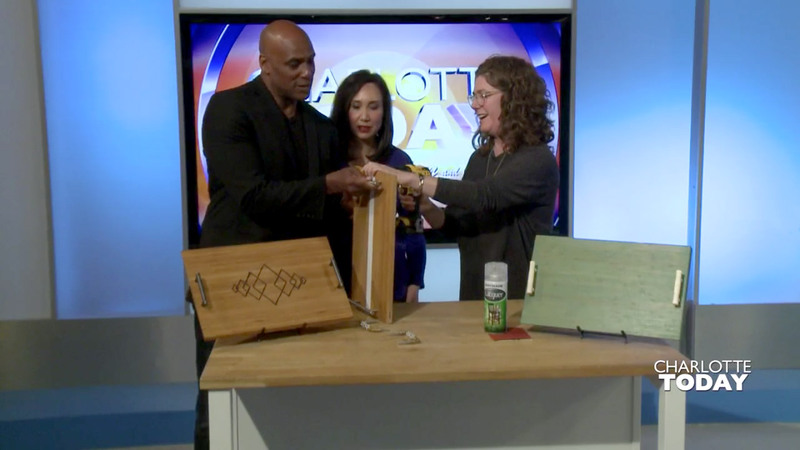 When this happened to me recently, I decided to upcycle the cutting board into a serving tray. 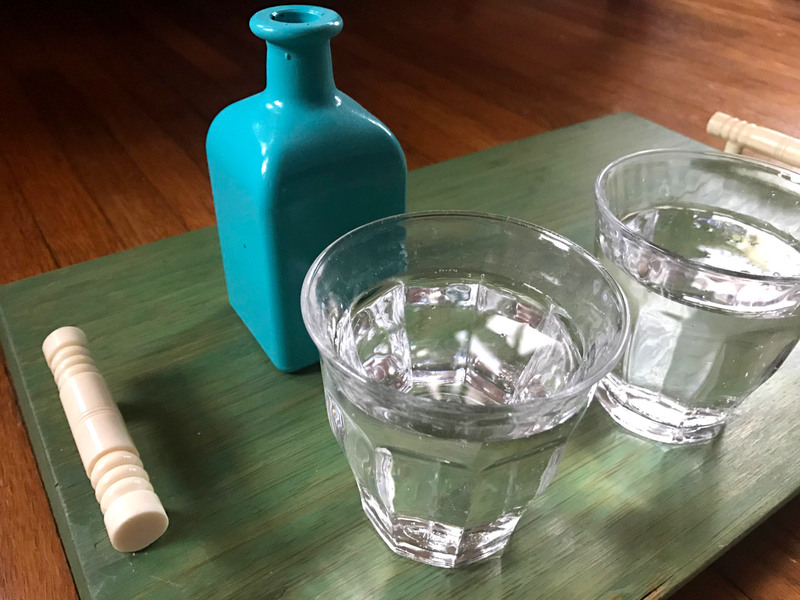 It’s a pretty simple project — once I had all my supplies, the whole thing took less than an hour. So easy. 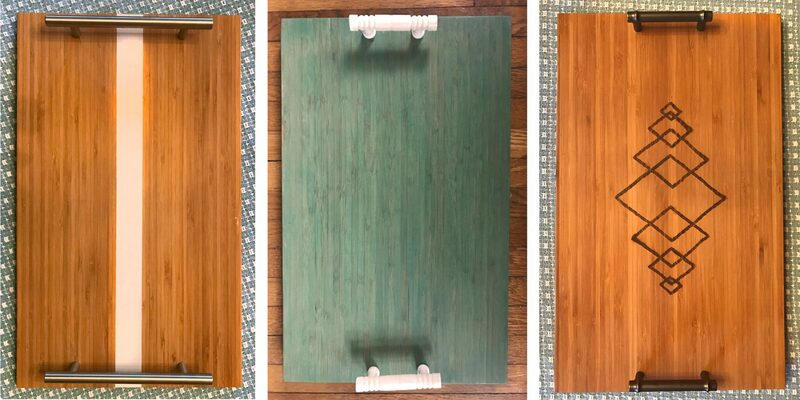 As I mentioned, the inspiration for this project came from my own, ready-to-be-retired cutting board, but of course, if you don’t have any beat up cutting boards lying around right now, you can easily do this project with a new cutting board. My old cutting board was the APTITLIG from IKEA, so I went out and got a couple more of those same ones for $7.99 each. I love bamboo cutting boards, and these don’t have any cutouts to deal with. They’re just a solid piece of wood: perfect for a serving tray. 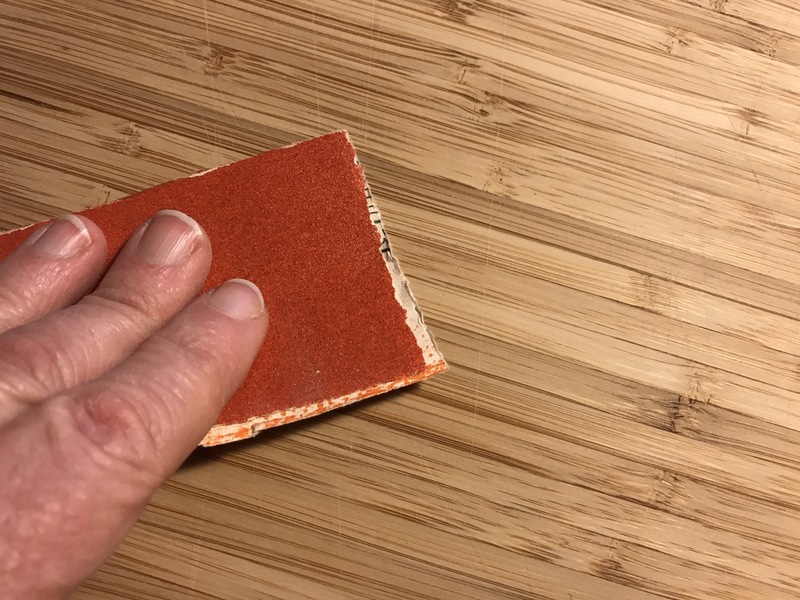 Step 1: If you’re using an old cutting board, give it a good sanding with the sandpaper so the grooves aren’t as pronounced or noticeable. Step 2: If you are going to do anything to alter the look of the board (wood burning, painting, etc.) this is the time to do it. 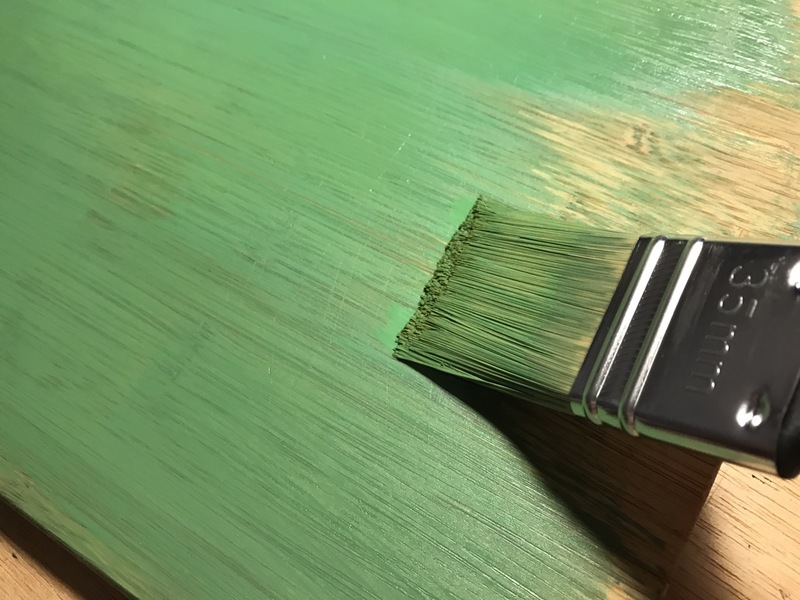 I created 3 boards: on one I painted it with green glazing paint (which is like stain, but color, so the wood shows through); on one I spray painted a single, white stripe (here are 7 tips for successful spray painting); and on the last one, I wood-burned a design into the board. Step 3: Spray the board with a few coats of spray lacquer or clear enamel. This will protect the wood and also anything you’ve designed on your board. Let this dry completely. 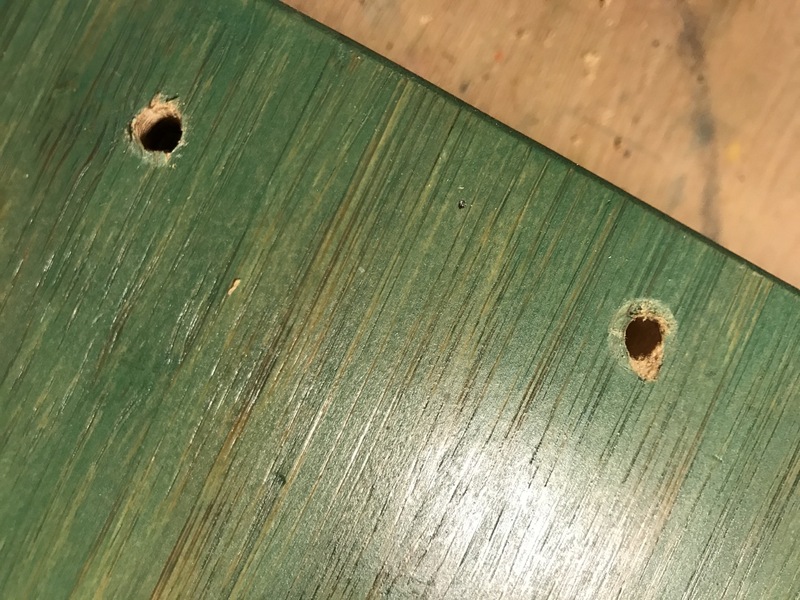 Step 4: Measure the space between the holes of your drawer pull and mark your board. Then decide how far from the edge you’d like your handles to be and mark this. Once you know where you’re going to drill, place the cutting board on top of the scrap wood. This will ensure you don’t drill through the board straight into your table (unless you have a workbench that can take that kind of abuse). Step 5: Drill baby drill! Four holes total. 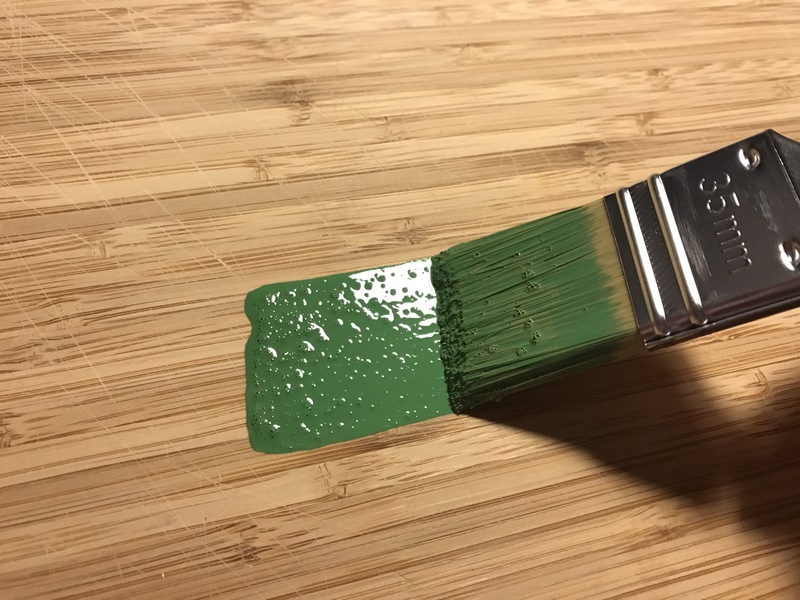 Carefully clean away any splinters (you may need to sand a bit, depending on how splintery the board is — bamboo is pretty splintery). Step 6: Insert the screws from the underside of the board and screw them in part way. Place your handle on top of the screws, and finish screwing them in. Step 7: Apply felt pads to the underside of the board, one in each corner. And voila! Your new serving tray is ready! Invite people over and serve them something delicious!